Families and creatures of all ages took part in a musical and educational journey though Creatureville with some one-of-a-kind, handmade puppets courtesy of Rock the Arts. Audience members not only learned about the art of puppetry, they engaged with issues such as environmental stewardship. 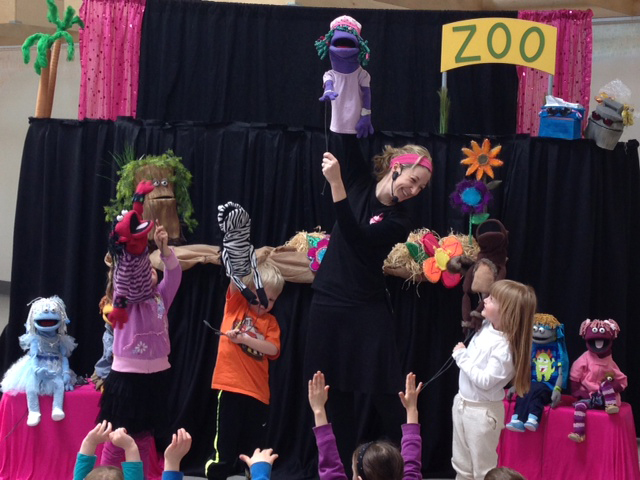 To get things started, children and families were introduced to Creatureville — population: puppets! Two playful puppets, named Zoey and Zane, go on an adventure to the zoo... but then they get lost! Uh oh. 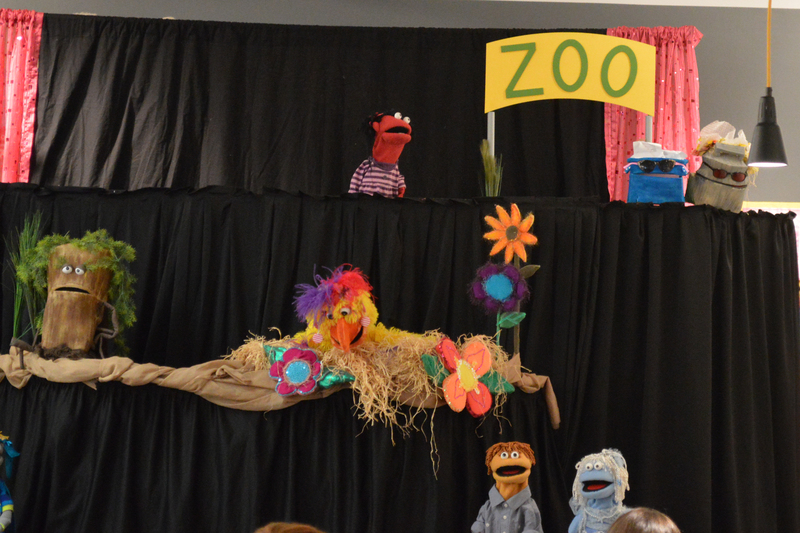 As they look for each other, the puppets encounter an abundance of creatures, and also learn about how garbage and littering directly impacts the animals at the zoo. In the gift shop, puppet Zoey buys a plastic water bottle and chewing gum and takes a plastic bag. 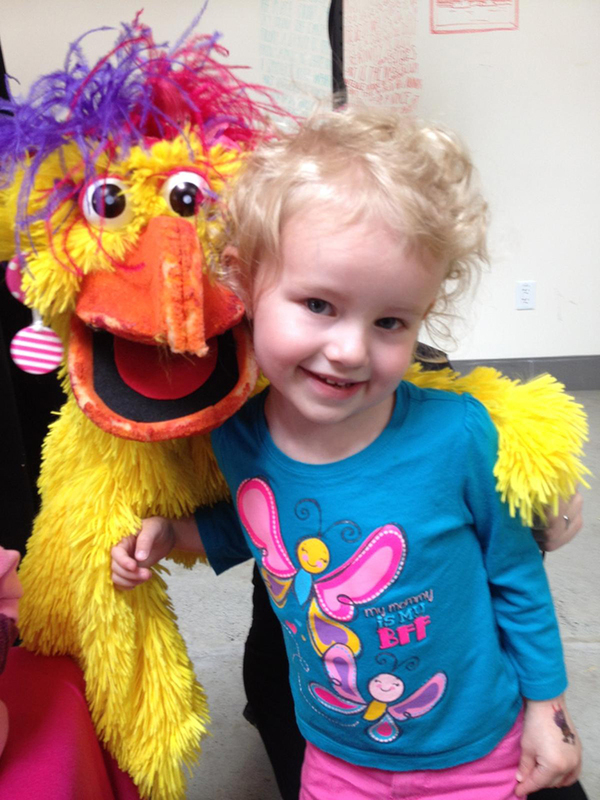 Shortly after, she spits the gum out and it lands on the lovely Awkbird puppet's beautiful feathers! The Awkbird started cawing "Awkward! Awkward!" and explained that when you throw your pieces of chewing gum on the ground, birds mistake it for food, making them very sick. Awkbird reminded the puppets of Creatureville (and the rest of us!) to always throw their gum in the garbage. Puppet Zoey then encountered a turtle, who explained that plastic bags often end up in the ocean. Unfortunately the beautiful sea turtles can easily mistake them for jellyfish, which are usually a tasty snack for them. The turtle reminded participants that using a reusable cloth or canvas bags can truly help our turtle friends! Lastly, Zane decided to throw away her paper map, which then landed on a lion's bed. He learns that he should always put paper in the recycling bin, and humans — just like lions — do not like garbage in their beds! Both Zoey and Zane then invited audience members to push the "green" rewind button to go back in time and make greener choices at the gift shop. 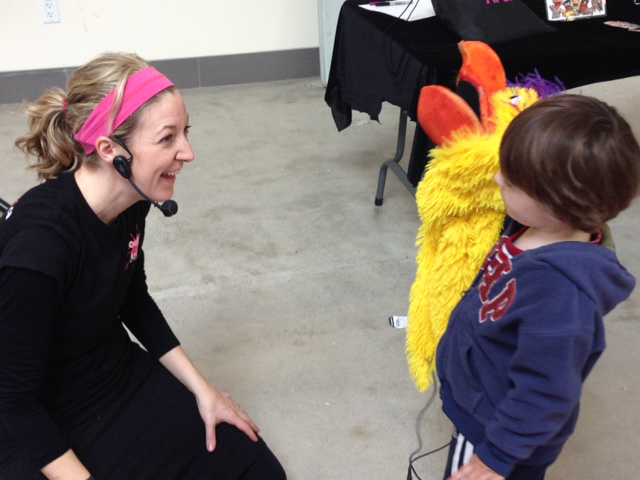 Participants were then introduced to talented puppeteers who shared their puppets with the kids. They explained how their puppets were made out of recycled materials such as old clothes, rubber mats and old metal hangers. 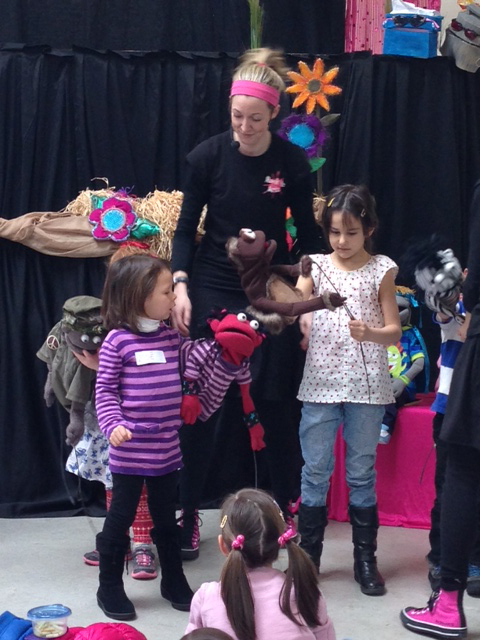 To close the workshop, kids practiced their puppetry skills by first moving the mouth, then arms, then the body. 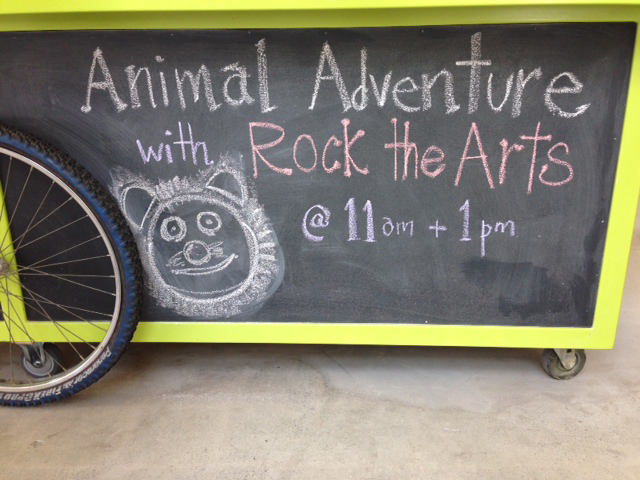 Thank you to Rock the Arts for promoting imagination, creativity and environmental responsibility through puppetry! We hope to see you at our next workshops: Stories and String with Anne Glover. 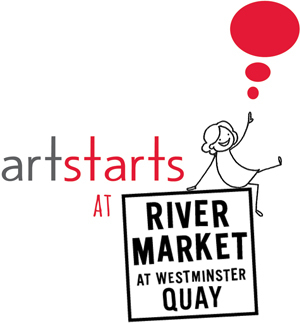 Join us at ArtStarts on Saturdays in Vancouver on Saturday, May 31 and at ArtStarts at River Market in New Westminster on Sunday, June 1. Read more details here. 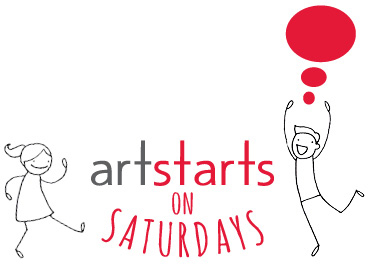 While at the ArtStarts Gallery, be sure to check out the new exhibition of young people's art: Timescapes: Local Connections and Natural Indicators of Time.